What Could Go Wrong for Bitcoin in 2018? Bitcoin definitely deserves the "Best Investment of 2017 Award," but as any financial professional will you, "past performance is not indicative of future results." In 2017 Bitcoin was able to shrug off the bad news, but it still faces some serious challenges and risks. Some of those challenges can adversely affect the price of Bitcoin, while others have the potential to make Bitcoin outright uninvestable. Bitcoin enthusiasts firmly believe that no amount of state regulation can "kill" the cryptocurrency, and that may be true in a strict technical sense, but regulation can drastically reduce Bitcoin's potential user base. While US regulators have been quite supportive of cryptocurrencies, regulators in China and Europe are growing wary of Bitcoin due to its potential to disrupt monetary policy and circumvent capital controls. Earlier this year the People's Bank of China shut down all digital currency trading platforms in Beijing and Shanghai, citing concerns about financial risks posed by unregulated markets. It is almost unanimously assumed that the real reason behind the clampdown was the desire to thwart the use of Bitcoin as a means to circumvent restrictions on moving capital out of China. The Chinese "capital bootleggers" still use cryptocurrencies to smuggle capital out of the country, but if Beijing gets serious in its attempts to shut down such operations, an important source of demand for Bitcoin will be lost. Given that cryptocurrencies can adversely affect a central bank's capacity to control the money supply and combat money laundering, it's not surprising that the G20 will try to regulate their use. There is little doubt that most central bank governors would love to regulate Bitcoin out of existence, but serious restrictions on use, sale and acquisition would also be acceptable. France's minister of finance, Bruno Le Maire, told French news channel LCI that Bitcoin regulation will be discussed by the G20 during the group's next summit. Increased regulation will either fully legitimize cryptocurrencies as an asset class or will make cryptocurrencies unusable by most financial institutions and private investors. While it may seem improbable, Bitcoin may become a victim of geopolitical conflicts. Several American news outlets report that the DPRK uses cryptocurrencies for commercial operations that would otherwise be impossible due to sanctions. For the North Korea, Bitcoin provides both a new revenue stream and an unobstructed means of payment for imports. Steven Kim, visiting research fellow at the Jeju Peace Institute in South Korea, told Forbes, "The cryptocurrency is the ideal form of money for North Korea because it can be moved quickly and anonymously across borders and can be used to buy goods and services online or converted to hard currency." If Bitcoin does become a vital part of North Korean external commerce and cryptocurrency mining becomes an important source of revenue for Kim's cash-strapped budget, Washington may want to impose sanctions on Bitcoin. Due to Bitcoin's decentralized nature North Korea can't be banned from the blockchain, so a logical way to prevent a sanctioned country from using and mining the cryptocurrency is to ban the cryptocurrency itself. Even though Satoshi Nakamoto, the pseudonymous creator of Bitcoin, envisioned Bitcoin as a basis for a financial system that doesn't require traditional intermediaries and rent-seekers like banks and other financial institutions, it turned out that the Bitcoin ecosystem has created an almost exact copy of the traditional financial system it was meant to disrupt or replace. Significant amounts of cryptocurrency tokens are concentrated on several digital currency exchanges, making them enticing targets for hackers. Recently, a cryptocurrency exchange in South Korea collapsed after a massive hacking attack led to the loss of 17 percent of its assets. If a similar hacking attack brings down one or several US cryptocurrency exchanges, the effects on the Bitcoin investing community and Bitcoin's image as a financial asset class will be nothing short of disastrous. Will retail investors ruin everything? While the risks of excessive global regulation, sanctions and hacking incidents are real, the biggest threat to Bitcoin is the growing crowd of retail investors, who are excited by the cryptocurrency's meteoric rise. Significant inflows from retail investors are generally considered a good sign for any asset class, but such inflows also make the asset class vulnerable to bouts of panic selling. Bitcoin Rollercoaster: What Happened, and Why? As of Friday morning, Bitcoin is quoted at around $14,000 per Bitcoin, down around 30 percent from its high of almost $20,000 per Bitcoin, registered on December 17. Bitcoin's volatility may prove too hard to stomach for some of its new investors, who are definitely unprepared for losses and expect quick and easy gains. If enough retail investors panic, the price will fall even further, igniting a chain reaction of selling. 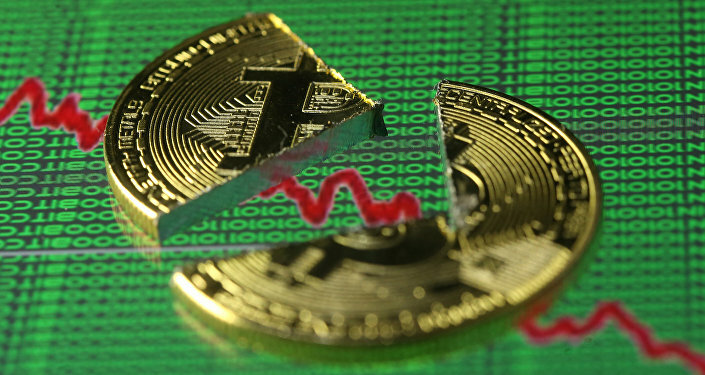 Severe losses and the associated emotional pain will keep the affected investors away from Bitcoin and will cement the cryptocurrency's image as an overly risky asset. The consequences of such a scenario can be summed up in the words of Teunis Brosens, a Dutch economist from ING Bank, who said, "Bitcoin will return to being the niche product that it was in its initial years. Users will include tech nerds, people obsessed about their privacy, people afraid for (hyper)inflation in traditional currencies, and people wanting to circumvent central banks for ideological or criminal reasons." However, in spite of all the things that could go wrong, Bitcoin has so far managed to defy all skeptical expectations. It may well continue to do so in 2018.